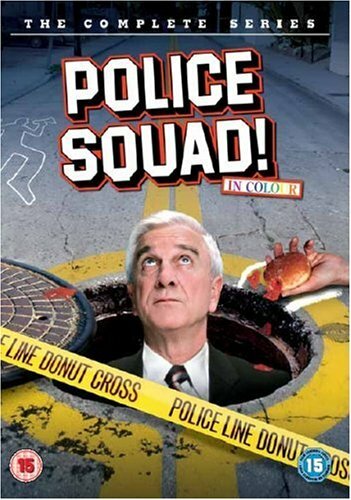 We are all upset this morning, having heard of the death of comedy legend Leslie Nielsen. Only last Tuesday we all sat down and watched The Naked Gun 2 1/2: The Smell of Fear, then went straight in to The Naked Gun 33 1/3:The Final Insult (after Lewis turned up late) and laughed so hard we could barely see. Doubtless, this Tuesday we'll be watching Airplane!, not just in tribute to the late Mr. Nielsen, but also because it's hilarious. While we've all seen The Naked Gun and Airplane! films a million times, you may not be immediately familiar with this, but buy it and watch it. It's a treat.